I'm posting this recipe at the request of one of the members of this blog. Sprouting wheat berries is easy and fun but does take several days of pre-thought. 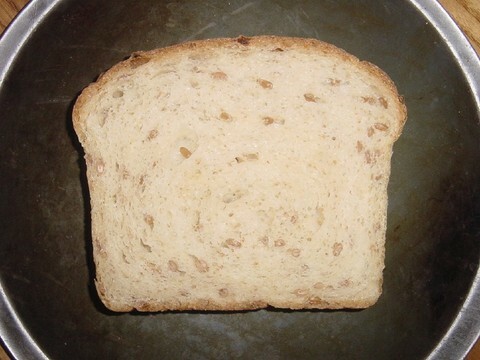 It is a fantastic "science" project for kids as they get to see one of the most simple and basic forms of life that sustains our life--the grain of wheat and how water wakes it up out of dormancy (sleep) to sprout into the potential of a stalk of wheat or as in this case a loaf of bread with delightful crunch. Maybe we should rename it Sleeping Beauty Bread! The sprouted wheat berries that rise to the top of the dough become very hard during baking so try to avoid having to many on the surface. Oven Temperature: 450°F., then 400°F. Equipment: A baking sheet lined with parchment or sprinkled with flour or corn meal or­ a 9 inch by 4 inch (7 cup) loaf pan), greased lightly with cooking spray or oil. A baking stone or baking sheet. In a large bowl, or mixer bowl if using a stand mixer, place the bread flour, wheat germ, optional bran, yeast, honey and water. Whisk until very smooth to incorporate air, about 2 minutes. The dough will be the consistency of a thick batter. Scrape down the sides. Set it aside covered with plastic wrap while making the flour mixture. Scrape the dough into a 4 quart dough rising container or bowl, greased lightly with cooking spray or oil. Press down the dough and lightly spray or oil the top of the dough. Cover the container with a lid or plastic wrap. With a piece of tape, mark where double the height would be. Allow the dough to rise (ideally at 75°F to 80°F) until doubled, about 1 hour. Using an oiled spatula or dough scraper, remove the dough to a floured counter and press down on it gently to form a rectangle. Give it a business letter turn, round the edges and return it to the bowl.Again, oil the surface, cover, mark where double the height will now be and allow it to rise until doubled, about 1 to 1 1/2 hours. (It will fill it fuller than before because it is puffier with air). 1 hour before baking time preheat the oven to 450°F. Have the oven shelf at the lowest level and place a baking stone or baking sheet on it and a cast iron pan or sheet pan on the floor of the oven before preheating. It takes 2 to 3 days to sprout the wheat. If the sprouts are ready before you are ready to make the bread, refrigerate them. Place the wheat berries in the canning jar and add tepid water (80-85 °F.) to cover them by about 2 inches. Cover with the plastic screening or cheesecloth and keep it in place with the metal screw band. Let sit for about 1 hour and then turn the jar up-side-down to drain out all the water, saving this water in another jar, at least 1-1/2 cup capacity. Refrigerate the water. Store the jar with the wheat berries on its side, in a dark warm place such as a kitchen cabinet, covered with a damp cloth. Rinse the wheat berries in the morning and at the end of the evening by adding enough tepid water to cover them through the top of the jar, swirling them around in the jar, then inverting the jar to drain them, always saving the water until you get about 1-1/2 cups. Do this until the sprouts are the same length as the wheat berries. Then drain them well and use at once or refrigerate.